The California Department of Education (CDE) funds three Regional Centers, statewide, to provide technical assistance to all California schools in administering the California School Climate, Health, and Learning Surveys (Cal-SCHLS). These centers also provided technical assistance on school climate improvement for the California S3 grantees. For information on Cal-SCHLS and on the availability of school climate workshops and other technical assistance on school climate improvement, contact your regional center, tool free, at 888.841.7536 or email schoolclimate@wested.org. A TA specialist will be available to assist you between 8:00 am and 5:00 pm. If you are prompted to leave a voice mail message, a referral specialist will contact you within one business day. 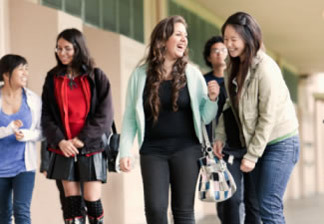 The California Safe and Supportive Schools Project was conducted by the California Department of Education, Coordinated School Health and Safety Office. Technical and evaluation assistance was provided by WestEd and Duerr Evaluation Resources. WestEd is a national nonpartisan, nonprofit research, development, and service agency that works with education and other communities to promote excellence, achieve equity, and improve learning for children, youth, and adults. For further information on Cal-S3 and school climate improvement, call the Cal-SCHLS Regional Centers, toll-free, at 888.841.7536 or email schoolclimate@wested.org. WestEd is a national nonpartisan, nonprofit research, development, and service agency that works with education and other communities to promote excellence, achieve equity, and improve learning for children, youth, and adults. Social Networks, News Feeds, Mailings, & E-Newsletters. Learn more or connect directly.